Welcome to our website. Whether you are interested in joining our club, just having a browse, or are a member who wants to catch up on all our news and events you are more than welcome to check it out, we have lots to offer. I am proud to be the Chairman of a fabulous club with a great bunch of members and I’d love to let you know a little of what we get up to. In terms of membership, our club is diverse and we welcome everyone – from complete beginners through to high level competitive players and from tiny tots to octogenarians. We are a club run by members for the members and it goes without saying that our club would not run successfully without the enormous amount of time and energy that all our volunteers put into it. 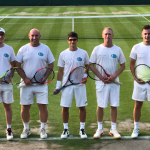 Whether you are new to the game or are a little rusty, our coaches run beginners and “Back to Tennis” sessions, where you can build your confidence and develop the skills that will allow you to get the most out of the club and your tennis. An organised game with friends, a match, a social club morning or evening or coaching with one of our highly qualified team – it’s all there for the taking. 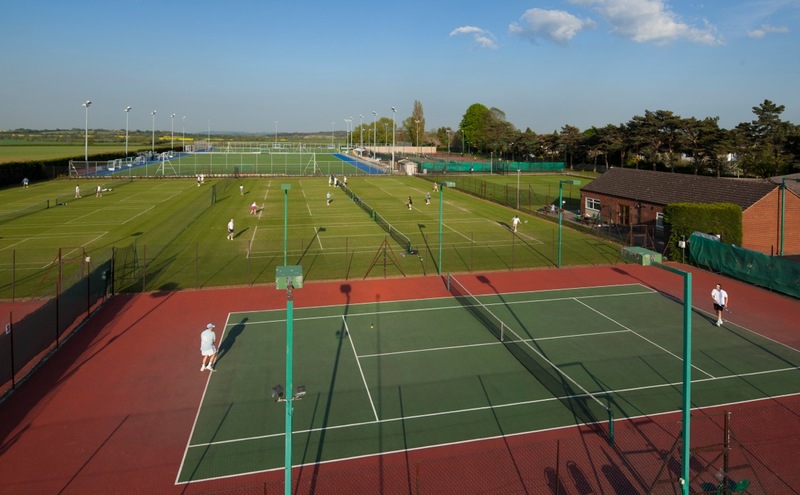 With 10 grass courts and 9 floodlit hard courts and around 500 members we are the largest club in Oxfordshire. There is plenty of opportunity to compete at all levels – club championships, match play days, mini tennis tournaments, American tournaments and leagues both locally and nationally. We also organise friendly matches throughout the summer and have an inter-club box league that runs throughout the year. 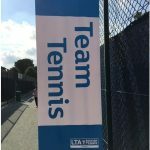 We are also honoured to host the Aegon British Tour, Summer County Cup, Oxfordshire County Championships and junior LTA events each year. Do keep an eye on the events page and put some dates in the diary – no need to be a member to come and watch! We have a great team of well-qualified coaches led by Chris Hampton who was awarded Club Coach of the Year by the LTA in 2016. We run a busy and varied programme of coaching for juniors and adults alike – cardio, fitness, drills, serving technique…you name it, the team can provide it! The coaches are always delighted to help you improve your game and achieve your aims. We have plenty of fun social events during the year which are advertised here on the website and via email to members. As far as social tennis is concerned, our daytime and evening club sessions are popular and you will meet plenty of people of varying standards to mix in with. This is a great way of meeting other members of the club (new and old!) in a relaxed environment. 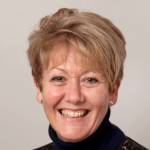 So, please don’t just take my word for it, browse the pages on our website to find out more and do let us know what you think. We always welcome feedback. I hope we can tempt you to come on down to our club and try it out, we’d love to see you. Go on, give it a go – you have nothing to lose and everything to gain – fun, fitness, improvement and almost undoubtedly some friends for life.